Well I got up this morning and tripped over the damn dog laying on the floor next to the bed. Then I burned the porridge. So now I am in a pissy mood and ready to vent a bit. Please read the following rant with this in mind. It is only my opinion, your mileage may vary. Please comment as you wish, no need to pull any punches. For much of the past decade I have been studying and photographing a group of dog breeds known as the "Versatiles". 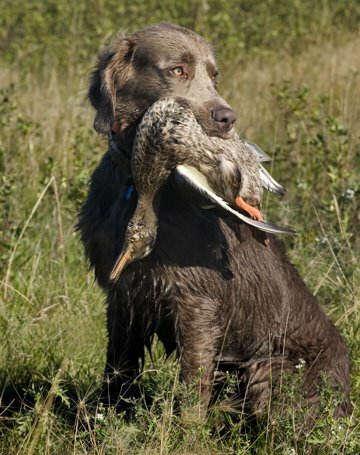 They are gundogs from continental Europe that have been developed over the last century or two to hunt, point and retrieve feather and fur on land and water. Some, like the Brittany and German Shorthaired Pointer are quite common in Europe and in North America. Others are quite rare. The breed known as the Pont Audemer Spaniel for example used to be fairly well known in the Normandy area of France. However two world wars decimated the population. There are now only about 350 "Ponto's" in the entire world. One of them is lying at my feet as I type this. Currently my wife and I are involved in an effort to restore the breed. It will not be easy. Our other dogs are Weimaraners. They too are very, very rare. Rare? How's that? Every year there are more than 10 thousand Weimaraners born in North America alone! 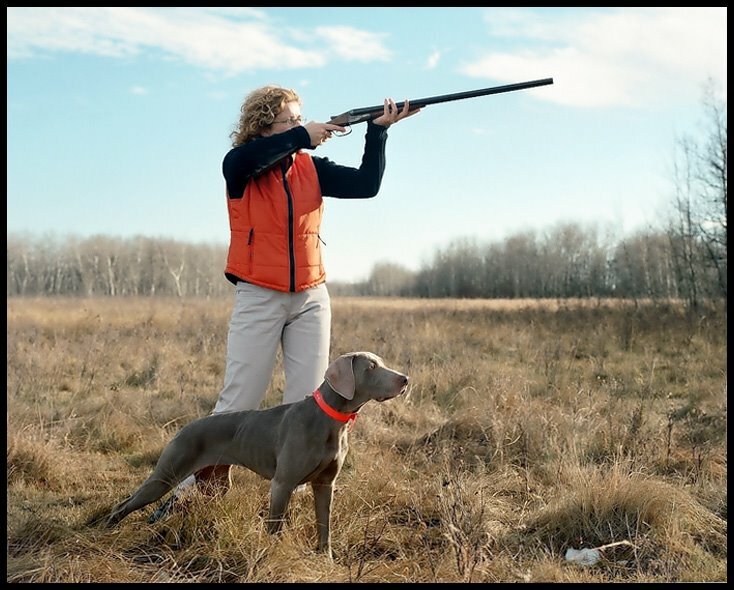 Oh, did I mention that our Weimaraners hunt? Yes indeed, they are among the 1% of the breed that actually do what they were bred to do. 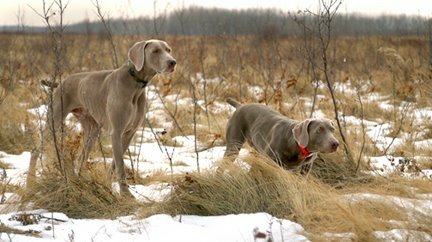 I would estimate that among the nearly 100 thousand Weimaraners in North America right now, only a few hundred see any action in the field. So you see, they are actually as rare as hen's teeth. But what about the other 99%? Well, It seems that popularity has its price. For the Weimaraner, the cost has been its soul. Once a magnificent grey ghost, shining in the fields and forest in pursuit of game, the breed has now been relegated to playing second banana to a freaking sock-puppet on a children's t.v. program. Thanks to the show ring and a marketing steamroller featuring photos of humiliated Weimaraners dressed up in ridiculous costumes on the cover of books, calendars, cards, mousepads, etc. etc . ad nauseum, the Weimaraner has become the breed of choice for the latte swilling crowd at Starbucks, impetuous puppy buyers looking for a cute grey play toy to give the kids for Christmas, style-conscious yuppies trying to one-up the neighbors and, worst of all, puppy mills. The last place you are likely to find a Weim is in the home of a hunter. 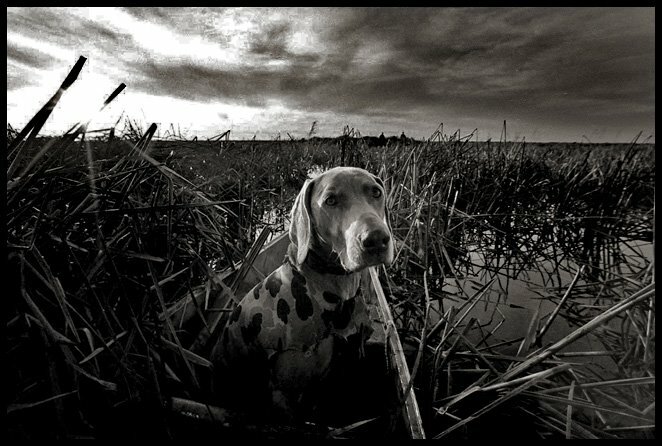 And that is why I classify hunting Weimaraners among the rarest of the rare. They are a tiny minority in a very popular breed....a small pearl in a big oyster. Now, I should point out that I have no bone to pick with those that choose not to hunt with their Weimaraners. As long as the dogs are given the chance to lead an active healthy life, I wish them all the best. I have also come to terms with that fact that the majority of Weimaraner breeders do not select for field ability. As long as they do their best to breed healthy, mentally stable companion dogs and advertise them as such, I see no problem. I do however take issue with breeders who claim field ability in dogs that are from completly unproven lines. Breeders who do not hunt, who do not test or trial their dogs have NO right to any claim of field ablilty in their line. How can they possibly know how the pups they produce will perform in the field if they have never even seen the parents performing in the field themselves? How could they possibly know what kind of range, pace, drive, nose, pointing ability, cooperation, retrieve, water work or stamina the dogs will have if they have never observed what is in the parents in the first place? Be honest. If you have no idea what kind of field ability is in your line, admit it. 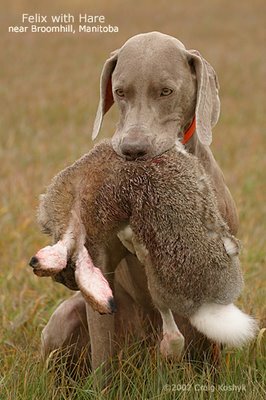 Tell any prospective buyer that you breed (hopefully) healthy, good looking, great-with-kids weims, but please do everyone a favour and state clearly that as far as hunting ability is concerned, you have no idea. And while we are at it, please avoid using one or two "junior hunter" titles in an entire pedigree as proof of "field ability" in the line. The junior hunting test is a good first step. But that is all it is....a baby step. In reality, even an asthmatic teacup poodle should be able to pass a junior hunter test. So bragging about a grandsire on one side having a junior hunter title is like saying your grandfather could actually count to 10. It does not automatically mean that you have the genes to become a rocket scientist.